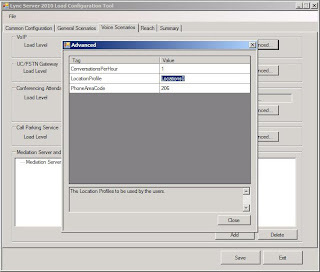 LSS supports cross-pool load generation and federation through advanced configuration. StressConfig.exe. You use StressConfig.exe to create users and contacts. For details, see “Creating Users and Contacts” later in this guide. StressConfig.exe is installed .\StressConfig path. UserProfileGenerator.exe. You use UserProfileGenerator.exe to configure the input parameters for the load tool as specified in the desired user profile. For details, see “Configuring the User Profile” later in this guide. UserProfileGenerator.exe can be found under .\Ocsstress path. OCSStress.exe. OCSStress.exe is the client simulation tool. For details, see “Running OCSStress.exe” later in this guide. Default.tmx. You need Default.tmx to use the Office Communications Server 2007 R2 Logging Tool. MaxUserPort.reg. You use the MaxUserPort.reg registry script to set the MaxUserPort registry key so that the client can open more that 5000 Transmission Control Protocol (TCP) connections. Example provisioning scripts. 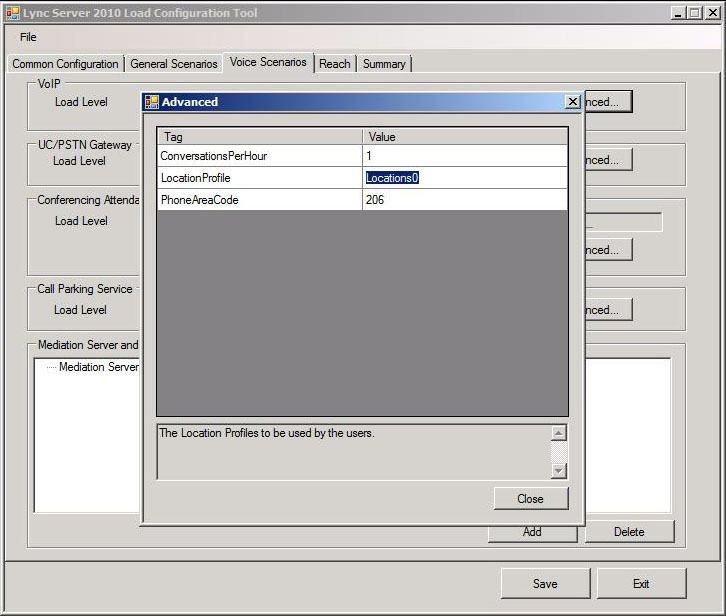 You can use these examples to configure your topology for running load based on scenarios. To download the tool & review system requirements [ Hardware & Software ] click here.